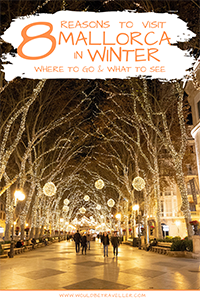 Discover the best reasons to visit Mallorca in winter, as well as some of the things you can do and see while you’re there. If you’re considering visiting Mallorca in winter, great decision! The months between November and February make a fantastic time to go to the Balearics. Mallorca’s mild climate and virtually non-existent crowds in winter mean that it is one of the best places to find winter sun in Europe. Why Visit Mallorca in Winter? Your money will go a lot further than you think in Mallorca in winter. While the entrance fees to most attractions stay the same price all year round, visiting Mallorca during the off-season will save you a fortune on flights. A quick search of Skyscanner* shows a return flight from London to Mallorca in August is 47% more expensive than average, while the price of similar flights to Mallorca in January is 40% cheaper than average! Most no-frills airlines fly to Palma de Mallorca from across Europe, so you’re bound to find a bargain. >> Check the lates flight prices to Mallorca on Skyscanner* now. Click here* ! If you’re a first-time visitor to Mallorca, you’ll be spoilt for choice of accommodation. And this is even more true in winter! 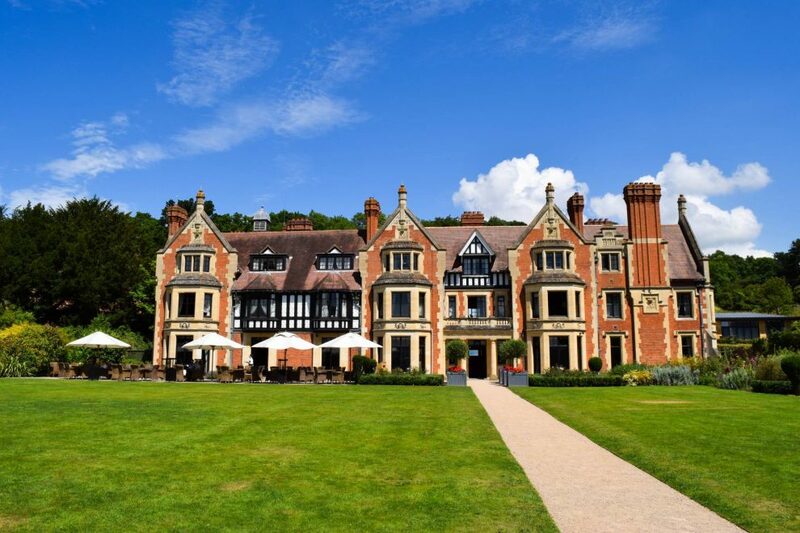 Visiting in the off-season means you get the pick of the bunch when it comes to accommodation before they’re snapped up by the summer crowds. Choose from the best rated hotels in Palma, to the most beautiful lodges in the heart of the island. Hotel Can Cota* in Selva is a great example of where your money goes further. 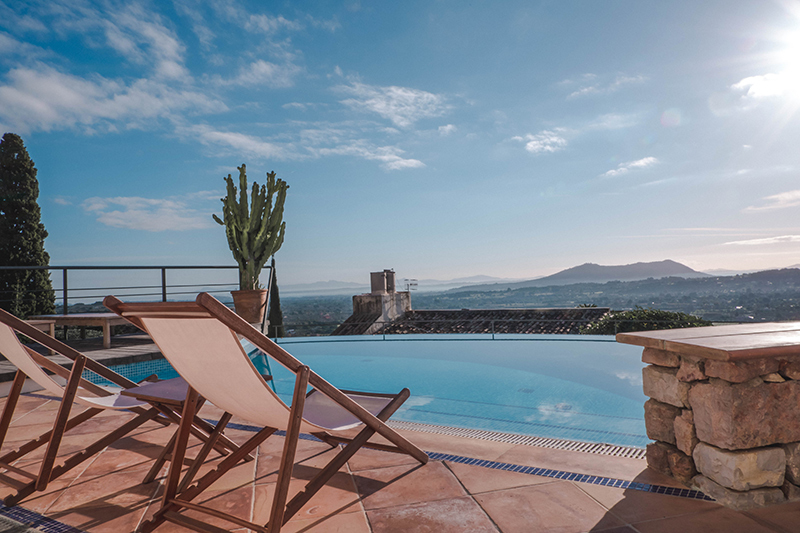 It’s a boutique hotel set in picturesque countryside, overlooked by the Serra de Tramuntana mountains. The family-run hotel has just 7 rooms, making it the perfect place to unwind after a busy day exploring the island. Guests are free to enjoy the hotel’s many facilities, from the games room with table tennis table, to the expansive gardens and infinity pool. For those interested in gastronomy, the breakfast is made to order and you can choose from all manner of cooked food, pastries and fresh fruit. You can even wake up early and nab the outside table for breakfast with a view! Hotel Can Cota* is my personal pick for places to stay in Mallorca, outside of Palma. Disclaimer: I paid full price to stay at Can Cota* – I just really enjoyed my stay and am happy to recommend it! >> Visit booking.com* for other recommended places to stay in Mallorca. Click here*! In the summer, visitors to Mallorca flock to the coast and beaches to cool off from the blistering heat. That’s not necessary in winter, thanks to the cooler temperatures. Instead, winter makes a great time to explore the centre of the island. Selva is a small village set at the foot of the Serra de Tramuntana mountain range. It’s relatively unknown, meaning there’s not many ‘traditional’ tourist sights, but that’s what’s so loveable about it! 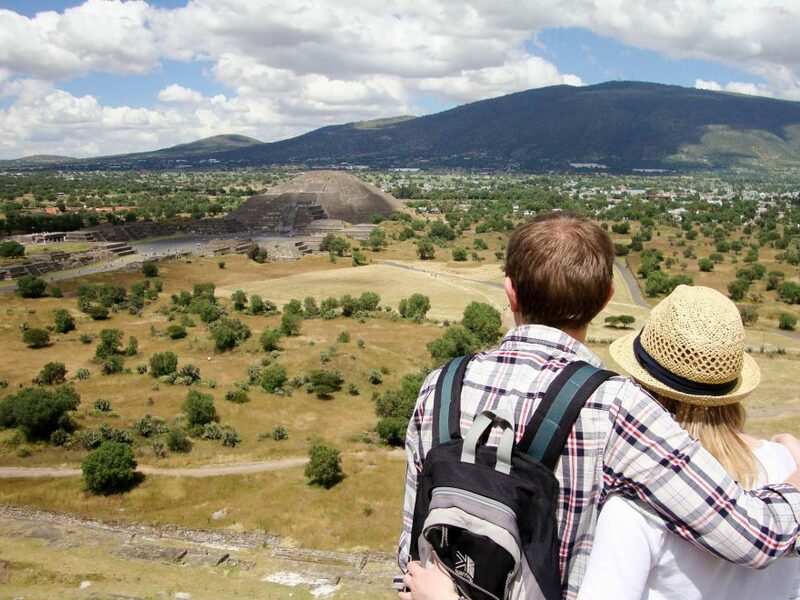 You can use it as a base to explore, enjoy walks through the historic alleys or simply take it all in from your hotel’s terrace. 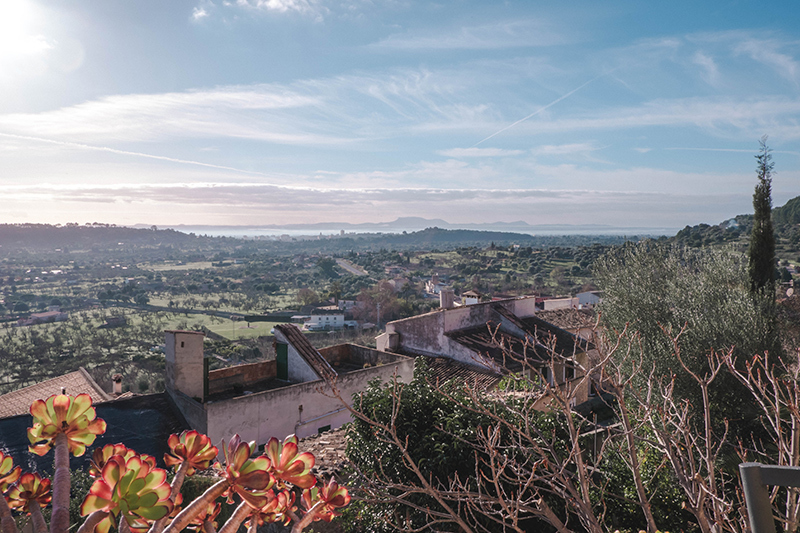 S’Albufera is an area of wetland on the east coast of Mallorca, popular among birdwatchers, nature lovers and those with a passion for wildlife. While it’s open all year round, one of the benefits of visiting S’Albufera in the winter is the possibility to see many bird species that use the park as an escape from the cold weather in northern Europe. Among others, you’ll see large populations of ducks, herons and starlings. Mallorca is a great place for winter sun. 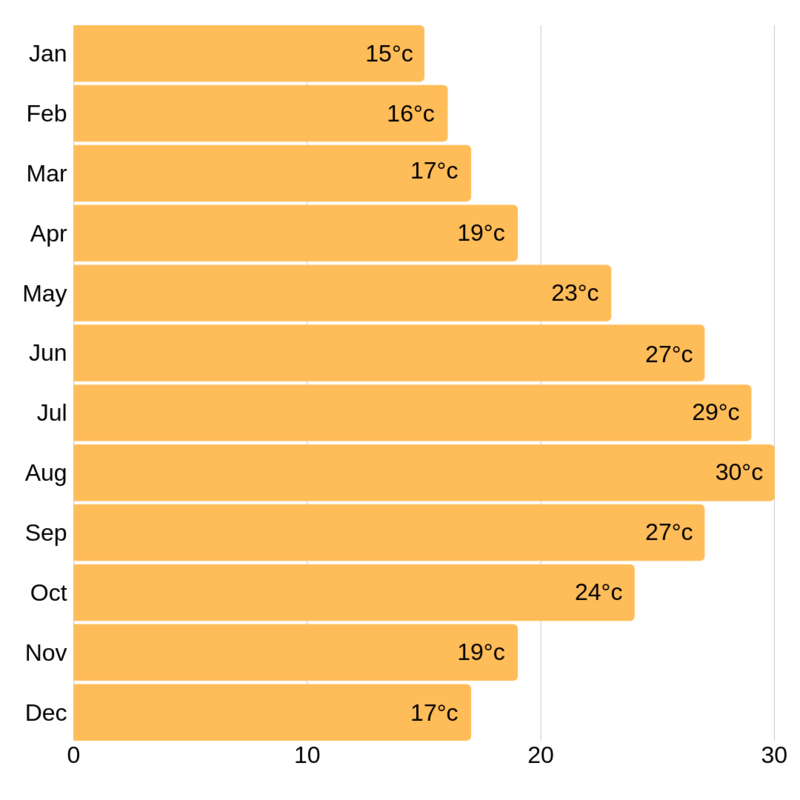 Of course, the average temperature highs between November to February in Mallorca are colder than summer at 15-19°c, but I’ll bet you that’s warmer than home. Between November and February, Mallorca averages 7 hours of daily sunshine and approximately 47mm of rainfall. Compare these figures to the rest of Europe (where there’s much less sunshine and much more rain) and you’re in for a treat! Thanks to Holiday Weather for providing the data in this section. >> If you’re after some more winter sun inspiration in Europe, check out my top tips for a winter holiday to Athens. Click here! 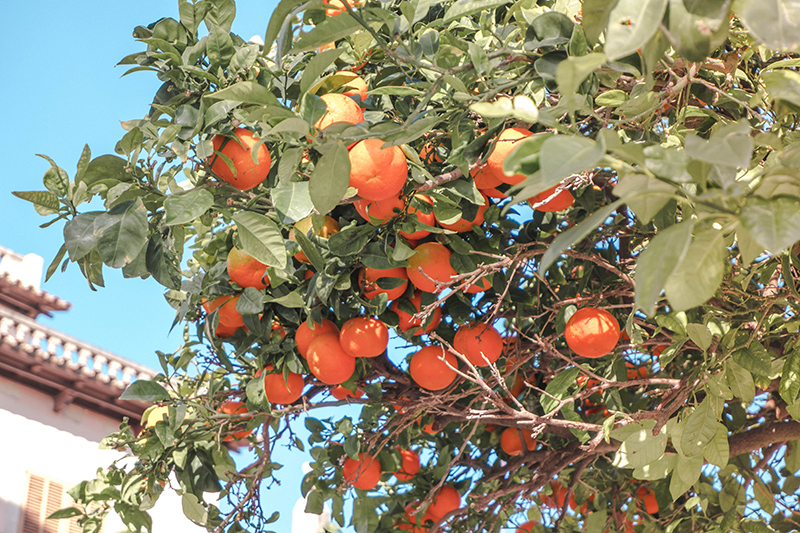 The weather in Mallorca in winter is warm enough to grow Seville oranges! One of the major benefits of visiting Mallorca in December or other winter months is the virtually non-existent queues for some of the top attractions. You can take your time exploring Palma Cathedral, enjoy a peaceful visit to the Drach Caves and enjoy the Alcudia Old Town without the crowds. During the summer months, the beaches are full of tourists, but you could almost have them all to yourselves in winter. If that’s not reason enough to go, I don’t know what is! >> If you wanted a guided tour, see what day trips and attractions Get Your Guide* has on offer. Click here*! If you search for images of Mallorca online, you’re bound to be met with thousands of photos of blue skies and yellow sands. Yet, the photo opportunities in the winter are even more spectacular! Imagine coming across Palma Cathedral in the snow – wouldn’t that make a wonderful and unique photo? 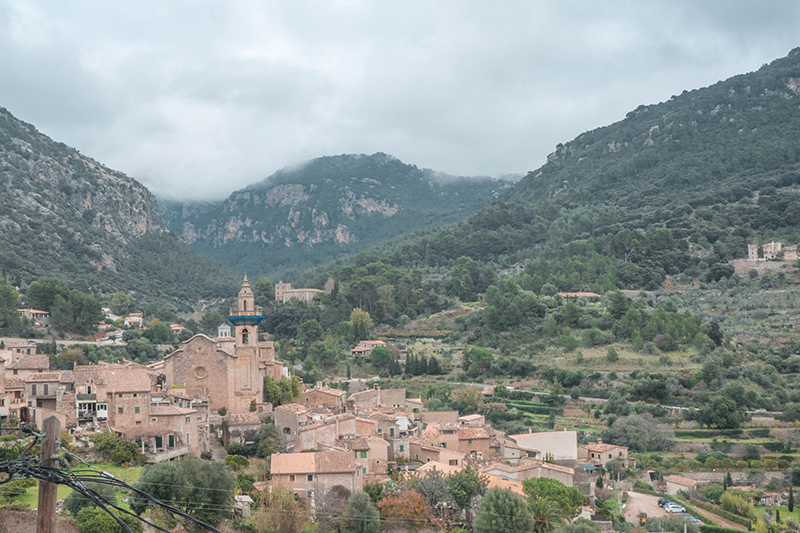 Or capturing the mist as it forms over the hills in Valldemossa one wintry morning – beautiful, huh? One thing’s for sure… you certainly couldn’t take photos like these in the summer! Traditionally a religious country, Spain does Christmas well. And Mallorca? It does it really well. 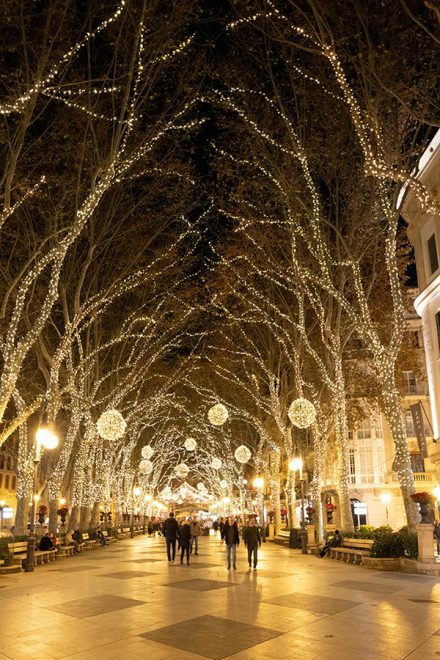 The streets are filled with beautiful lights, the churches host incredible nativity scenes, and cheery locals spill out onto the streets to celebrate their favourite season. Even between Christmas and New Year (one of my favourite times to visit Mallorca!) the festive markets stay open to help the locals prepare for the Three Kings Day or epiphany. It really is the most wonderful time of the year! If you’re considering hiring a car in Mallorca, the roads in winter will be relatively empty thanks to the lack of other tourists. This should really help boost your confidence when driving in an unfamiliar country, or if you’re not used to driving along the windy mountain roads in Mallorca. They can be very tight! >> Compare prices from all the major car hire companies with Skyscanner* . Click here* ! Next time you’re planning a trip to Mallorca, reconsider the best time to go. Have you thought about visiting Majorca outside of the summer season? 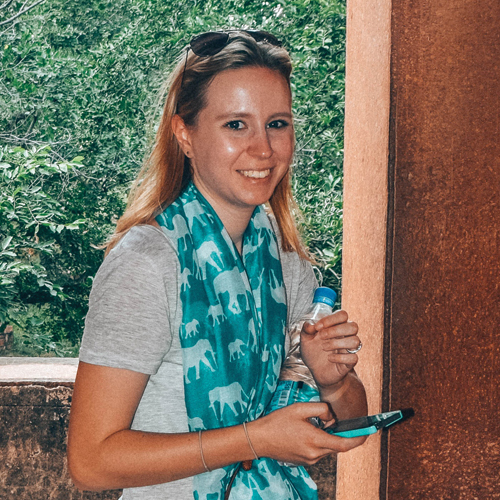 Let me know our top tips in the comments! I’m a big fan of visiting places off season. It has so many advantages. Great post! I love the idea of some winter sun right now! Mallorca really isn’t that far from the UK…. I love Mallorca in winter and spring – the flowers, trees and all the nature is full of energy. I will go to Mallorca this autumn. Never heard of Selva but it looks so beautiful! Thank you for the tip. I love travelling off-season! I’d much rather trade lower temperatures for lower numbers of people, and Mallorca is a perfect place to explore in the winter months. Thanks for sharing! I’ve only ever visited Mallorca in the summer, but you’re inspiring me to go back in winter some day. Sold! I love Majorca but have already only visited in summer time. Next time off season is clearly the way to go! This definitely has me convinced to visit during winter too! And I’m in love with that photo of yours with the fairy lights in the trees! My friend recently visited Mallorca and absolutely loved it! It looks so warm! A warm winter…what’s not to love?